Sports science and analysis have made immense advances in the understanding of physiology, biomechanics, psychology, nutrition and performance analysis in the last 20 years. Our courses are designed to ensure your learning is grounded in the latest research and practice techniques. 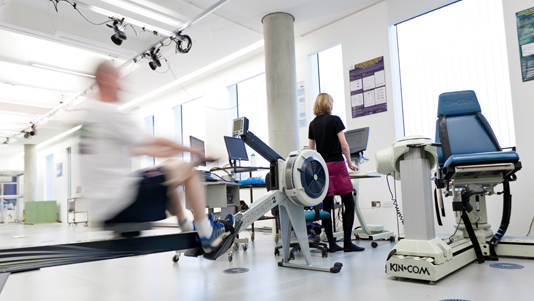 Whether it is the expertise of academics in areas such as human movement, neurophysiology and coaching methodologies, or conducting practical experiments in our Sport and Exercise Research Centre, you will gain knowledge and skills for a professional sports environment. Through talks from a professional panel of speakers, our links with organisations such as Greenhouse Sports, England Rugby and London FA, and opportunities to gain experience in placements or with our Academy of Sport we aim to prepare you for a career in the field of sport and exercise. in UK for graduate prospects in Sport Science (Complete University Guide 2019). in London for overall score in Sports Science (Sunday Times Good University Guide 2019). Our courses are recognised by the Register of Exercise Professionals and partners include England Rugby and London FA. Visit us on our Open Days and discuss your study options with our academics, talk to current students about their experience of LSBU, take a tour of our vibrant central London campus and experience our industry-standard facilities and student residences. 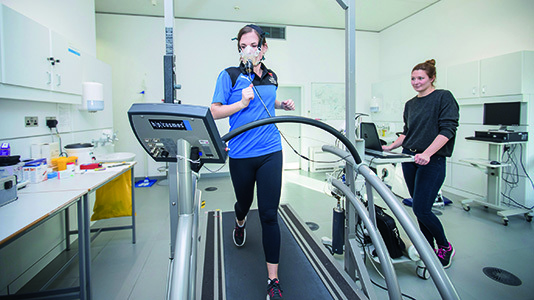 Our Human Performance area, with specialist biomechanics, physiology and gait analysis laboratories, grows in reputation year on year. Our Academy of Sport offers sport facilities, taught courses, research units, sports science support services and sport development to students, staff and the public. 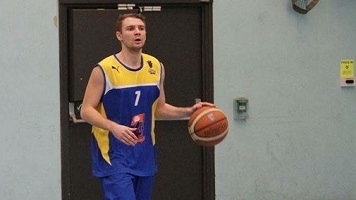 Casian (a national basketball player) moved from Romania to further his passion in sport by studying our Sport and Exercise Science degree.